Your vehicle will be back up and running properly in a jiffy when you turn to the mechanics at JRC Enterprises Auto Repair and Machine Shop. We are centrally located between Marshall, De Forest, Sun Prairie, and Columbus to best serve you. 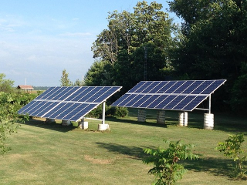 At our locally-owned shop, we believe in renewable energy and recycling. We run our shop with sustainable practices as much as possible, and our 10-kilowatt wind turbine supplies 25% of all the energy we use. If you would like to follow the live wind turbine environment and wind turbine production, just click on this link data.aprsworld.com/sites/jrc/. We also recycle our waste oil for heating purposes. With more than 20 years of experience serving local drivers, we have built a reputation for excellence and have a vast array of satisfied customers in the community. We offer NAPA® parts, and are also a U-Haul® dealer. Free loaner cars are available when you’re having major work done at our shop, though some restrictions apply. In addition to offering first-rate auto repairs, the team at our performance-engines machine shop has a great track record for building winning engines. We Supply You With A Courtesy Car For Major Repair Work. Contact us in Columbus, Wisconsin, for more details about our top-rated auto repair shop. 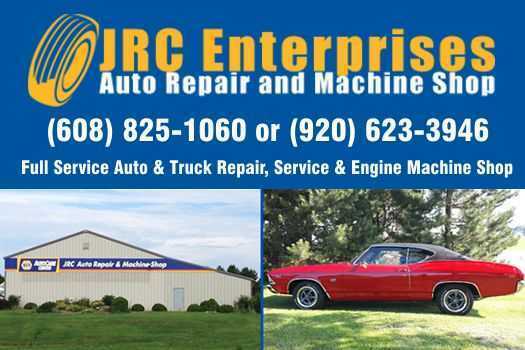 Page Summary: JRC Auto Repair and Machine Shop offers auto repair near me, auto mechanic, car repair shops and car maintenance. Services such as car diagnostic, vehicle maintenance, car oil change as well as auto maintenance are also part of the scope of our business. We also specialize in truck service, affordable auto repair in Sun Prairie, Madison, Waunakee as well as Watertown. 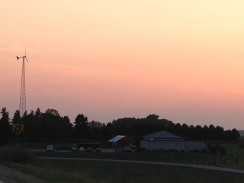 Other areas we serve include Lodi, Columbus WI, Beaver Dam and De Forest. We also service Waupun, Mc Farland and beyond.